Satrio tower is located at Mega Kuningan, Central Jakarta. 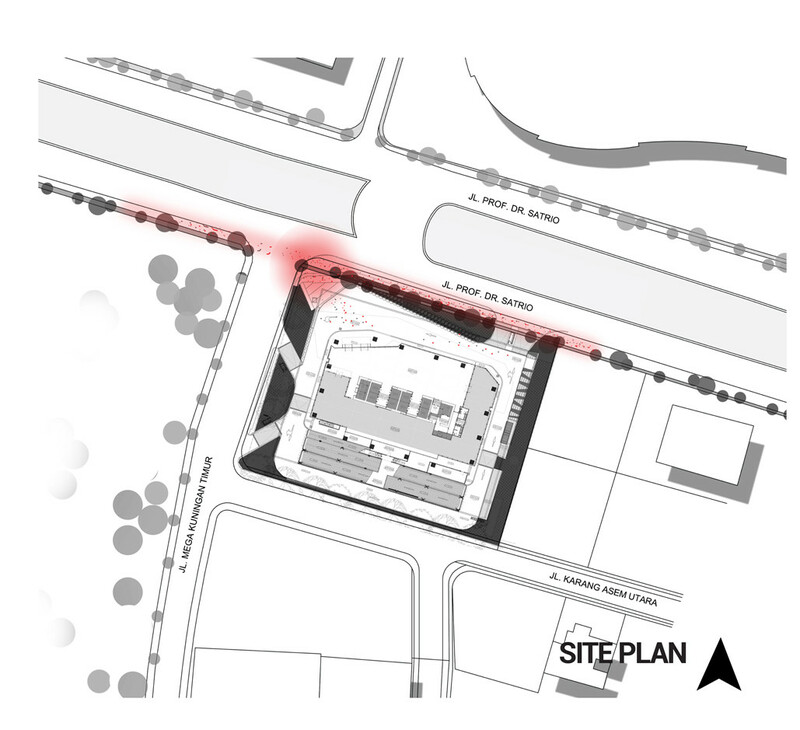 As part of Urban redevelopment area which emphasizes on pedestrian athmosphere, the design of masterplan is to create an urban pedestrian linkage and humane urban space. 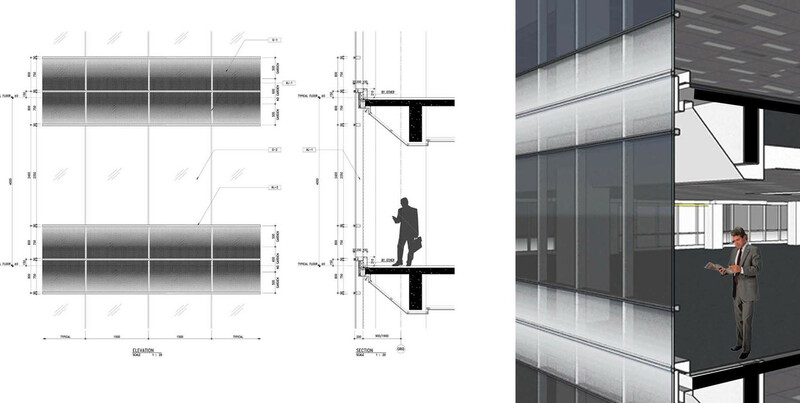 Provision of plaza and pedestrian area at ground level, acts as a linkage between the tower and its surroundings. Satrio office tower caters the need of high end offices at typical floors and banking hall at ground floor. 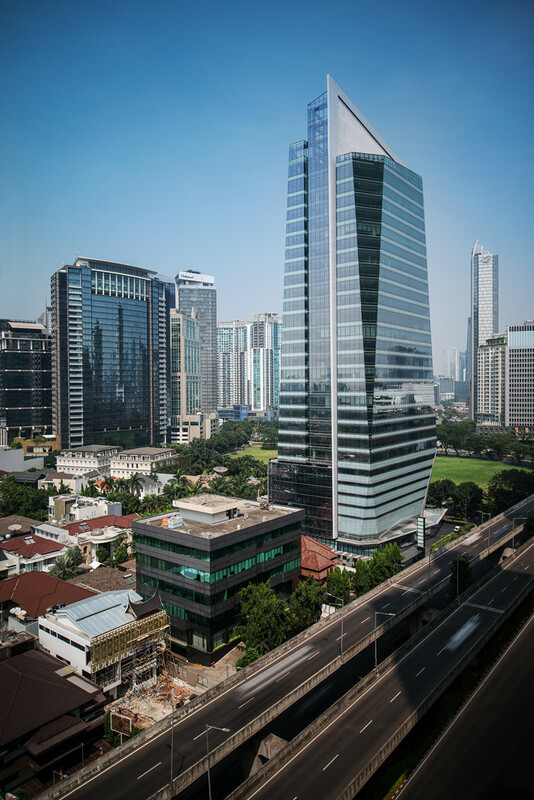 Considering the surrounding areas of Mega Kuningan is well known for high end office, apartments, embassies and retails. Also, as part of green movement involvement, Satrio office tower also registered for certification of Green building Greenship of Indonesia’s Green building Council. 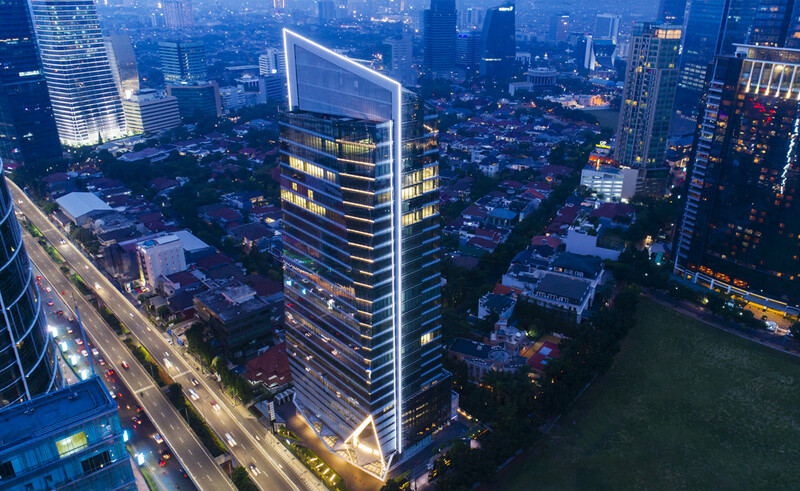 The diamond-like shape of the building represents hope and a gate to mega kuningan. 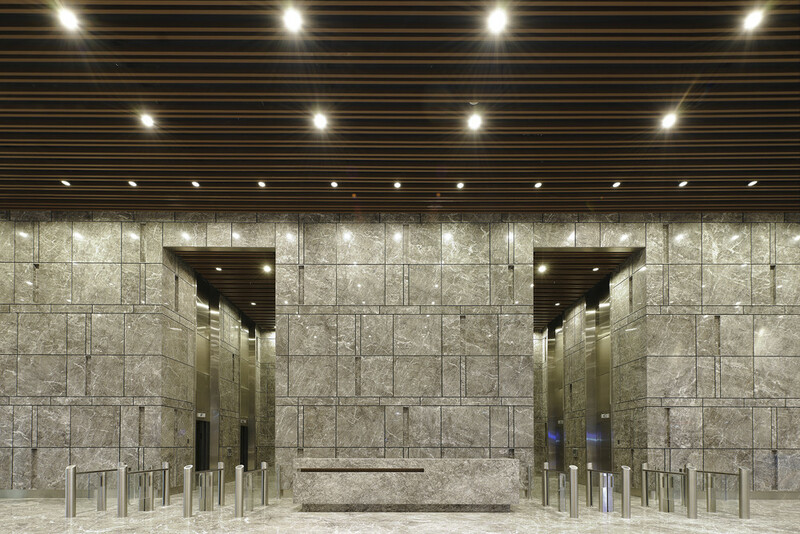 Like a precious, multi-faceted jewel glittering on the Sudirman-Kasablanka skyline, the new Satrio office tower offers Grade A office with luxury materials such as fritted glass and marbles. The façade uses ceramic-fritted glass to reduce the heat from west sun exposure. Ceramic fritted glass also function as aesthetic element. A fritted pattern applied to the glass resembles mist shrouding. At podium parking level, fritted glass is used to cover parking activities and avoid direct car lighting. The office’s ceiling also slanted 45 degree to cover the beam and also to get better lighting at night. Copyright © 2019 Airmas Asri. All right reserved.